About this Spot: Bella thorne was spotted wearing these, during a Beyonce concert in Los Angeles. About this Spot: Bella Thorne was wearing Current/Elliott The Stiletto Leopard Print Pants at the airport. Femme leopard print shows off your wild sense of style and these skinnies from Current/Elliott out it in the spotlight. Glossy pumps add glamour to this evening look, perfect for a night out dancing! Front button closure, five-pocket silhouette, leopard print Inseam: 28", rise: 8", leg opening: 5.5" Cotton/elastane. Machine. 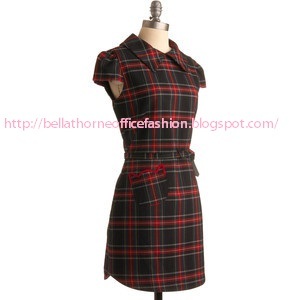 About this Spot: Bella Thorne was wearing Rachel Antonoff Pocket Purr-fect Dress at the premiere of Puss In Boots. If you're anything like us, you'll want to cuddle up to this cute Rachel Antonoff dress, found exclusively at ModCloth, as soon as you lay eyes on it. Operating under the belief that every day is an occasion worth dressing up for, this New York-based designer has been producing her..